If you follow along on my Instagram, I know it must seem like I’m a fall hater. It’s not that I hate fall, it’s just that I REALLY love summer and am never ready to say goodbye to that season. However, all good things must come to an end and summer will be back next year, plus there are some things to like about fall. These are some of my essentials for fall that are helping me get over my summer blues and embrace this colourful, cozy season. Probably my most favourite thing about fall is the beautiful plums and wine colours. You find it in clothing, shoes, nail polishes and cosmetics. To me, fall just screams beautiful dark, burgundy or plum rich lippies! I’m kind of cheating here because, currently I have two fave lipsticks I’m using this fall. Tarte’s Quick Dry Matte Lip Paint in Wine and Sephora’s Lip Paint in Mysterious Plum. Both so gorgeous in their own ways and both hold so well for all day wear! It may be hard to tell the exact colour of this on a computer or phone screen, it comes across as looking just plain orange. Like, hey it’s fall so here’s Halloween orange for your nails. The colour in person is more of what I would describe a burnt orange or more on the caramel side of colouring. Perfect for transitioning from summer to those first few weeks of fall, especially when the temperatures are still in summer high’s, like this week is! Great for still wearing open peep toe shoes. Maybe another reason fall gets a bad rap from me is because it’s just the beginning of the cold and flu season. *knocking on wood here* but ever since I started a regime of a Multi Vitamin with an additional Vitamin C, I very rarely get sick. This was also pre-baby, so that sickless bliss could quickly change given children are disgusting germ spreaders. They’re really such a blessing though, right? Regardless, adding Multi Vitamins and Vitamin C can’t hurt in helping you recover quicker from a cold or keeping a full blown cold at bay. I take this Multi Vitamin and this Vitamin C as recommended by my Naturopath. To be tooooa-ta-lleeee basic I’m including any candle that has hints of vanilla or cinnamon in them on my list. Yup. I went there. Obviously the go to candle store is Bath and Body Works or their sister store The White Barn. There’s also good ol’ Charmed Aroma, where you’ll get a nice little piece of jewelry once you burn your lovely smelling candle down! They have a cinnamon bun candle with surprise ring and a vanilla sugar candle with a surprise pair of earrings. What goes best with your fall candles? A warm and cozy blanket to curl up into on those chilly fall evenings. You know, the evenings where you can still sleep with the windows open slightly. Ok, so maybe I’m selling myself on this whole fall season after all! My go to blankie is one my Mama (my Hungarian grandmother on my mum’s side) brought back from Hungary for me. It’s huge, so warm and I’ve had it since I was a child. If I didn’t have this blanket, my next best choice is those Chapter’s Indigo faux fur throw blankets. I have multiple and have bought friends and family these throws as house warming gifts. Chapter’s also has some lovely looking fleece blankets that look equally as cozy as the faux fur ones! These pants are the perfect alternative to falls #1 pant, the legging. These are great for wearing out to run errands or just lounging around the house. 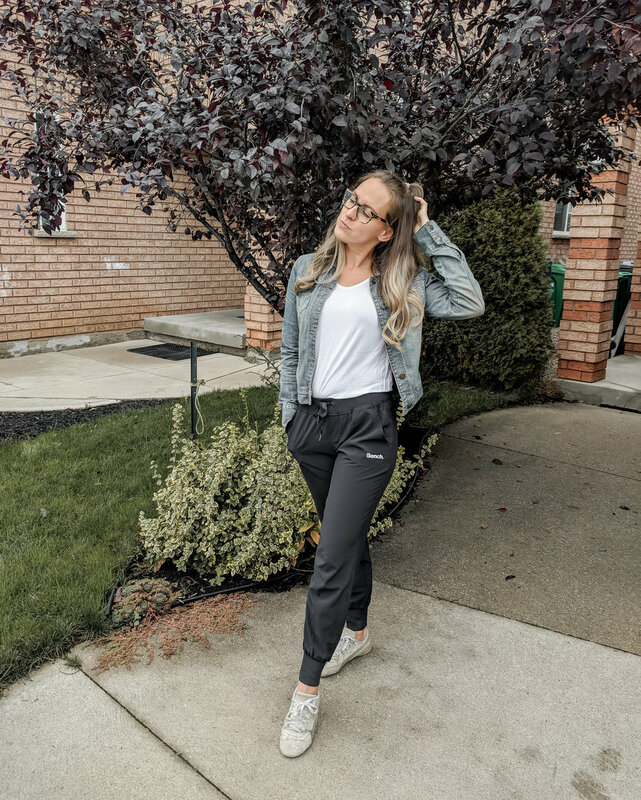 I have to say the best part about these pants is unlike my fave fall legging, these pants do not attract or hold onto any shedding animal hair! Win, win for any dog or cat mommy! I love being scared, but like spooky creeped out scared. Fall is the season for the hibby jibbies, so taking an evening ghost walk was a no brainer for my Fall Essential Experience. There are, obviously, so many taking place in the month of October in Toronto, Hamilton and Niagara. This would be a great idea for a unique double or triple date night or a group get together with friends. Make a whole evening out of it by grabbing dinner or drinks before or after your walk! This handy calendar allows for you to arrange your ghost walk ahead of time. What would you include on your fall essential list? Anything I should add to mine to help me get over saying goodbye to summer? Would you take a ghost walk tour or a haunted house tour? Let me know, I’d love to hear from you!